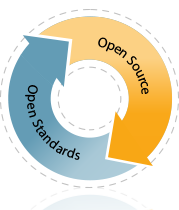 Ignite Realtime is the community site for the users and developers of Jive Software's open source Real Time Communications projects. Your involvement is helping to change the open RTC landscape. The Ignite Realtime community is happy to announce the immediate release of version 1.7.2 of the Search plugin for Openfire! The search plugin adds Jabber Search (XEP-0055) capabilities to Openfire. This update provides better compatibility with XEP-0004, as well as other minor changes. Your instance of Openfire should automatically display the availability of the update in the next few hours. Alternatively, you can download the new release of the plugin at the Search plugin archive page. For other release announcements and news follow us on Twitter . The Ignite Realtime community is happy to announce the availability of Pàdé 1.2.0 . This version upgrades Converse to version 4.2.0 and adds some other features. Please have a look at the Changelog for details. To install, visit the Chrome Web Store. You have 3 branded versions to select from. Pade@Ignite for only users registered at igniterealtime.org. The Ignite Realtime community is happy to announce the immediate release of version 1.0.3 of the Bookmarks plugin for Openfire! The Bookmarks plugin will broadcast messages to all users or to specific groups in Openfire. This update fixes an issue with support for older versions of Openfire. Your instance of Openfire should automatically display the availability of the update in the next few hours. Alternatively, you can download the new release of the plugin at the Bookmarks plugin archive page. The Ignite Realtime community is happy to announce the immediate release of version 1.9.2 of the Broadcast plugin for Openfire! 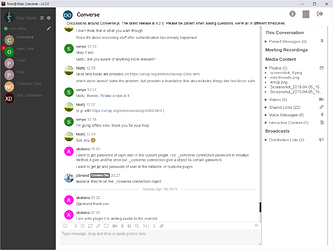 The Broadcast plugin will broadcast messages to all users or to specific groups in Openfire. This update fixes an issue with support for newer versions of Openfire. Your instance of Openfire should automatically display the availability of the update in the next few hours. Alternatively, you can download the new release of the plugin at the Broadcast plugin archive page. We?re happy to announce the immediate availability of a new plugin for Openfire: the ?Random Avatar? plugin! This plugin adds a webservice to Openfire, from which avatars can be obtained. Adding random data to the end of the request will give you a different avatar. Give it a try on https://www.igniterealtime.org/randomavatar/ to see what?s available! 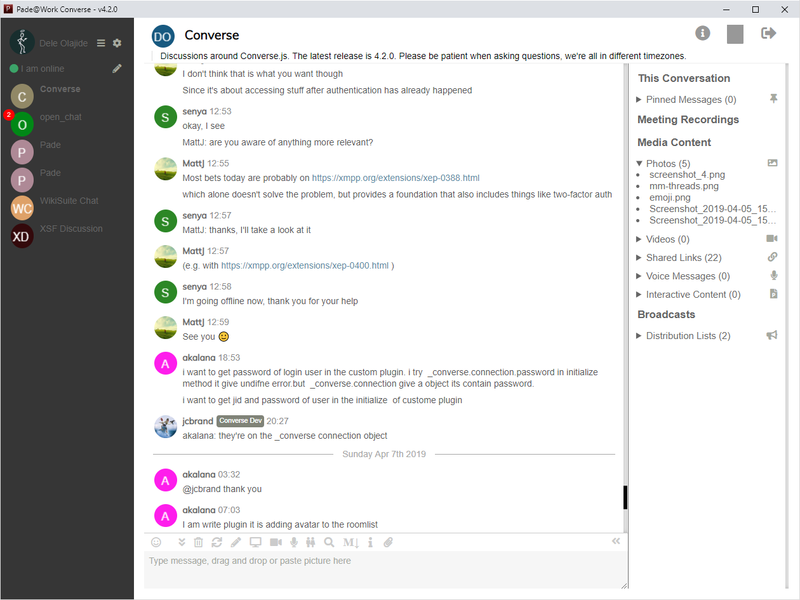 Stephen DAngelo in "Pidgin 2.13.0 using XMPP protocol Unable to find Issuer Certificate"
Daniele Ricci in "Smack instantShutdown/connect deadlock?" kueh in "Spark chat or chat history not sync"
Bpt in "Openfire - MySQL connection security errors"
Satish in "Monitoring plugin is not working correctly"